THE second staging of Alveo Ironman 70.3 Sunday, March 25, at Azuela Cove, Davao City was generally peaceful and successful with the deployment of more than 7,000 ground uniformed personnel. The Police Regional Office (PRO) in Davao Region earlier reported that there would be a total of 7,228 uniformed personnel who would be deployed throughout the race route coming from their office, Armed Forces of the Philippines (AFP), Philippine Coast Guard (PCG), Bureau of Fire Protection (BFP), Auxiliary Police and Central 911. They had joined forces to ensure the safety and security of the participants. "Masasabi natin na very challenging ang pag-conduct ng Ironman triathlon competition sa Davao City considering that this is an international event and this is one of those events that can easily draw terrorist attention kasi alam nila na makaka-generate sila ng international attention kung guguluhin nila ito. 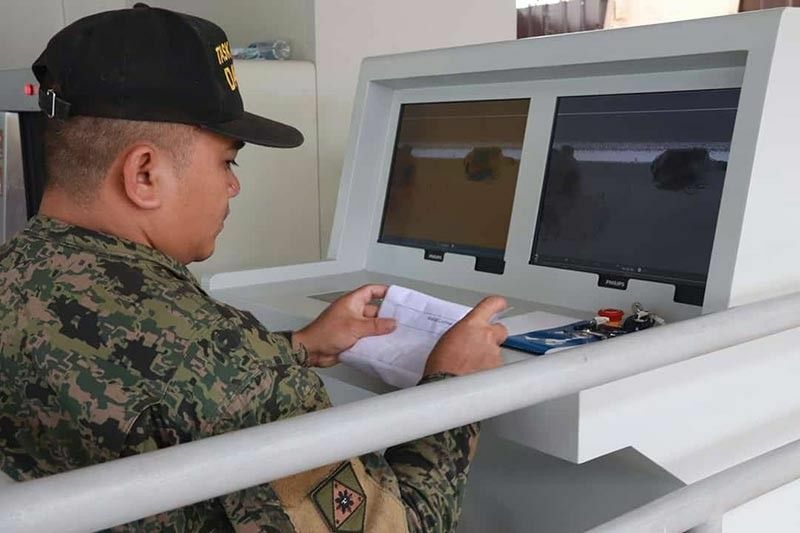 That’s why makikita natin na doble-doble ang ating deployment ng security personnel," Davao City Police Office (DCPO) Director Alexander Tagum said in an interview Sunday, March 24, at The Tent in Azuela Cove. Task Force Davao (TFD) commander Colonel Nolasco Mempin also affirmed the peaceful and orderly staging of Alveo Ironman 70.3 in Davao City. There were around 400 troops including TFD personnel, reservist, and augmentation from the 10th Infantry Division (ID) who were deployed Sunday. "So far generally peaceful, wala naman tayong na observe na na-encounter na problems with regards sa conduct ng Ironman 70.3 ngayong araw (So far, generally peaceful, we haven’t encountered problems with regards to the conduct of Ironman 70.3 today)," Mempin said. 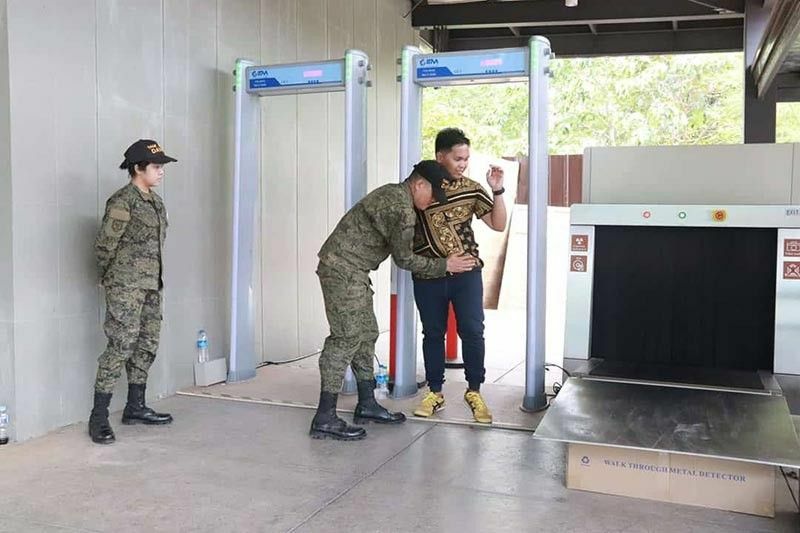 The security forces had likewise enforced an improved security measure with the installment of walk-in metal detector and x-ray scanner which gave both the troops and visitors convenience during the inspection to prevent the entry of banned items. Mempin said that the new equipment was provided by the City Government of Davao through the initiative of Davao City Mayor Sara Duterte-Carpio. It was actually intended for the border control that will be constructed in Lanang. He added that there are four walk through metal detectors and three baggage scanners that recently arrived. "Parang test na ng mga equipment if they are working before installing them," Mempin said. For her part, Davao City Tourism Operation Office (CTOO) head Generose Tecson recognized the contribution of the security sector in making sure the safe staging of the triathlon. "Security has always been the backbone of all the events of Davao City. We do not organize events without the security sector attending our meetings so all I can say is that from the start talaga hanggang pag-execute natin even until the finish, andiyan ang security sector, katrabaho natin," Tecson said in an interview. She added that the presence of police and military around has given the participants a sense of security knowing that they are well guarded against potential threats. but in Davao City, they're happier when they see them," Tecson further said. There were around 2,200 triathletes coming from 39 countries including the Philippines, who participated in the race.